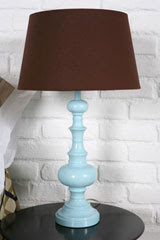 I really like this lamp from Urban Outfitters. It could easily be incorporated into a boys or girls room. And it's on sale marked down from $36 to $25.